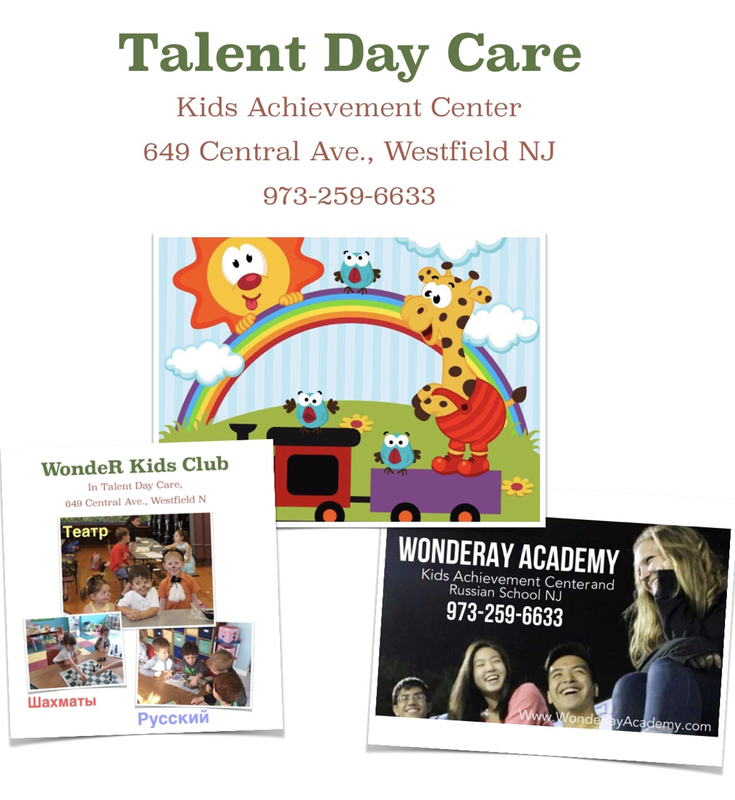 Russian school and Kids Achievement Center of NJ-Make learning fun! Our Saturday school provides education and structure to the happy lives of our children. Our goal is to instill a love for learning in different languages to our children. We introduce Russian-speaking families to one another. Registration for 2019-2020 school year is open. Full and Half day Enrichment programs Drop-in classes. Open Mon - Fri, 6:30 AM-6:30 PM. Our activities include Russian and Ukrainian language classes for kids. We have art, music and vocal classes, chess club and, most popular, is the Russian kids theater, titled “Souvenir" and full day care, open for families whose children are either Russian speaking or willing to learn Russian and Ukrainian. The purpose of our center is to bring together Russian speaking families and those interested in Russian language and to provide a wide range of enrichment activities for their children. The favorite and most popular form of maintaining the Ukrainian and Russian language became Russian Kids Theater classes in our center. Children learn songs and poems. They stage works of classical and modern literature. Being engaged in the theater for about 20 years, our performances have reached a hi level. Our theater is invited to competitions in other schools and states. 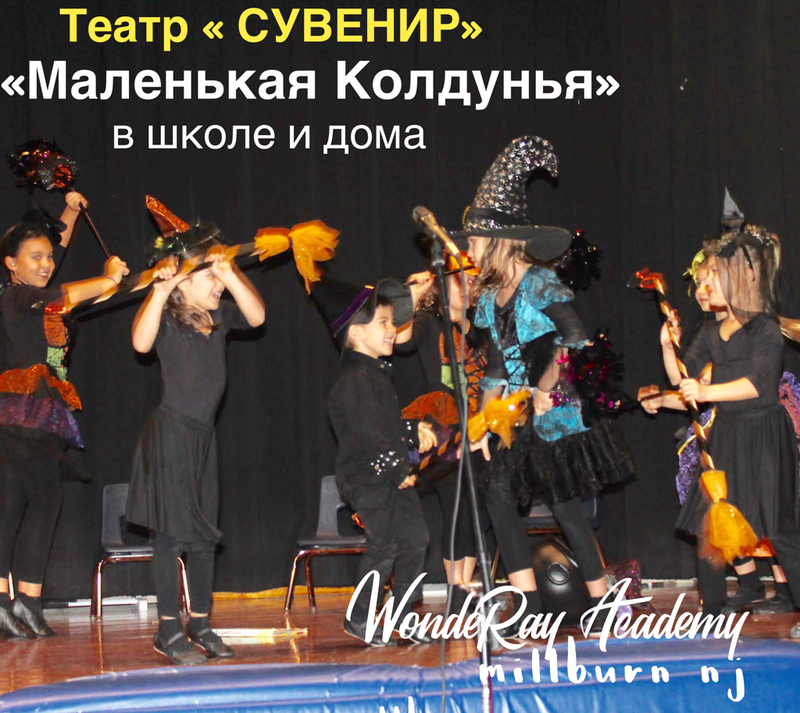 We began to invite other children's theaters to us under an exchange of performances in the Russian language. Thus, our students have gained friends with similar interests, a strong motivation to support and learn the foreign Russian and Ukrainian languages. We found an opportunity for friendship and communication , development of ties and family unification. Congratulations to our Theater "Souvenir" in 2018! Congratulations to the theater "Souvenir"
In the 2017 National Children's Russian Theater Competition our show "The 7 Stories of Peppy Longstalking" was nominated for and won the title for most creative show! ​ Congratulations to our 7 Peppy Longstalkings for winning the category for most original portrayal of character/roll and for one winning in category "The best female character"!